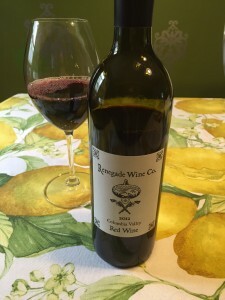 Renegade Wine Company, a value brand produced by Sleight of Hand Cellars, is a label made for the savviest of all wine lushes. From their website, “Sleight of Hand Cellars has two basic goals in its vision statement: to make world class wines and to have fun while doing it.” Since I like world class wine, and having fun while doing it, how could I refuse? A big time score for us cost-conscious drinkers, I first had Renegade Wine Company’s 2013 Rosé, which I adored! Sadly, it appears our market did not receive the 2014, which is a huge bummer. If you do happen to see it in a store, swipe it up — just don’t tell me about it (unless you’re planning to share… With no one else but ME!). So, I’m moping around the store like a spoiled, First World, teenager who just cracked the screen on her Apple Watch. Since I couldn’t find the Rosé, I settled for their Renegade Wine Company’s Red Blend instead. I didn’t drink this bottle right away. In fact, since I thought it to be such a consolation prize, I just threw it in my wine rack figuring I’d run out of bottles at some point and try it. Fast forward five days, a cooler than expected evening had me craving a red wine. Hmmmph, I _guess_ I’ll open this… red… blend. What?!? This vino is delicious! Could it be that my low expectations going into it are skewing my perception? Perhaps, but there is only one scientific way to find out – back to the lab. And? Long story long: I bought the Renegade Wine Co.’s Red Wine again and it still drinks like a dream. A beautiful, splendid red blended wine dream. 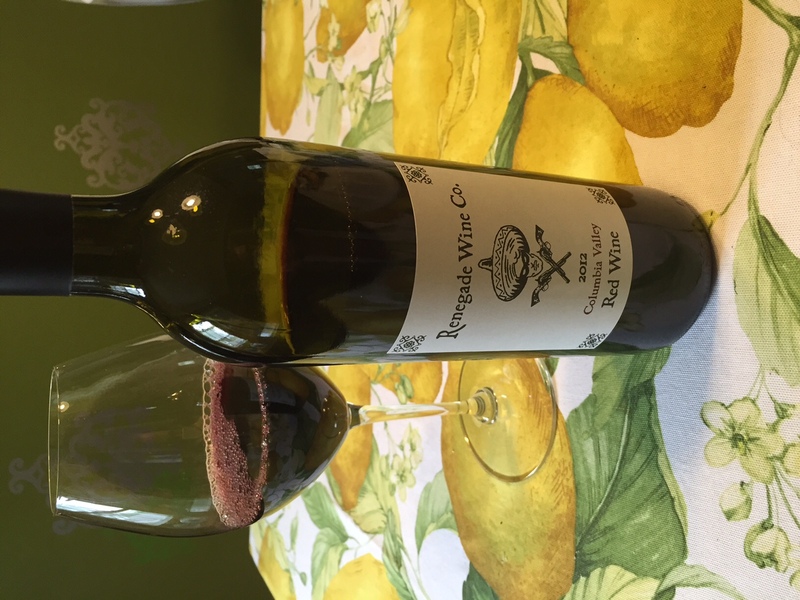 Renegade Wine Co.’s Red Wine is Washington’s answer to a Bordeaux Blend. Let me explain. It is Cabernet dominated followed by Merlot. This one-two punch gives the wine it’s main structure: dark red fruit with hints of cocoa and tobacco. The depth of flavor is livened up by the addition of Cab Franc, Malbec and Petit Verdot. These aid in it’s deeper dark color, hints of blueberry and coffee along with it’s moderate acidity. All in all, it’s a palate pleaser for everyone. My dear friends, I deem this another bargain gem, my red wine of the week. Coming in around $12, we’ll gladly have these folks make world class wine, and we’ll have fun while doing it.